Hair restoration technique is gaining popularity. Both FUT and FUE are in demand. Genetic factors may contribute to hair loss. In terms of terminology, FUE stands for follicular unit extraction and FUT for follicular unit transplant. 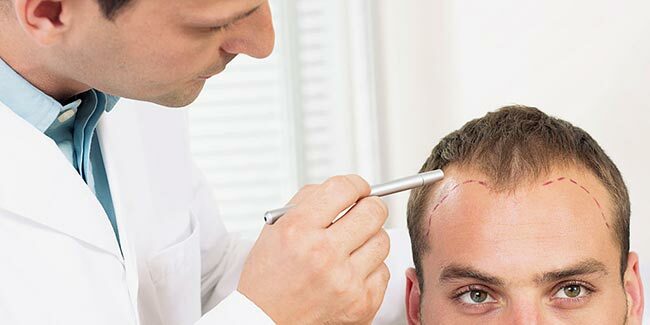 The procedure of FUT involves the harvesting of follicular units through strip excision procedure which contains 1 to 4 terminal hairs, sebaceous unit and supporting structure. The donor hairs are stripped from the occipital region (the back side of head) under the influence of local anesthesia which makes the procedure almost painless. Further, the follicular units (FU) are excised from a fusi - form shaped strip using video assisted microscope monitors to ensure the integrity of the graft. In case of FUE, the FUs are harvested individually using small punch excision. The procedure begins by trimming the entire donor area under local anesthesia followed by the extraction of FU from the donor area with the help of special micropunches of size 0.8 and 1 mm. So, in case of FUT while donor hairs are removed as a fine strip, in FUE the donor area needs to be shaved which makes FUT a better technique at least in terms of donor hair excision. For a successful follicle grafting and transplantation, the choice of extraction method is very crucial to ensure FU survival rate. The follicular unit extracted during FUE is very sensitive and contain less protective tissue around FU due to the extraction of individual FU directly from the donor area. This makes the extracted follicle highly prone to dehydration which may impact the growth of implanted FUs. In case of FUT, the whole strip is extracted and divided under video assisted microscope lowering the damage rate of follicular unit. Further, the strip extracted in FUT has sufficient amount of protecting tissue around it which further ensures the proper implantation and settlement of FUs in bald areas. Hence, based on extraction technique adopted by FUT and FUE, FUT stands ahead as a method of choice. FUE is a blind extraction technique as the direction and the angle of follicular unit cannot be envisaged easily as they can be at different positions like beneath or above the skin. FUE needs more precision and control which can cause damaging effects over grafts during placement and can be a reason for decreased hair growth yield. Further, increased transaction rates with a large number of extractions is another reason for poor yield in FUE. In FUT technique one can get the best yield of follicular unit because of the strip extraction from the donor area where the hair is considered to be permanent, thereby enhancing the chances of more viable grafts and hair growth. Further, the dissection of FUs using specialized high power video assisted microscopes almost ensures the yield of high quality grafts from the permanent zone. 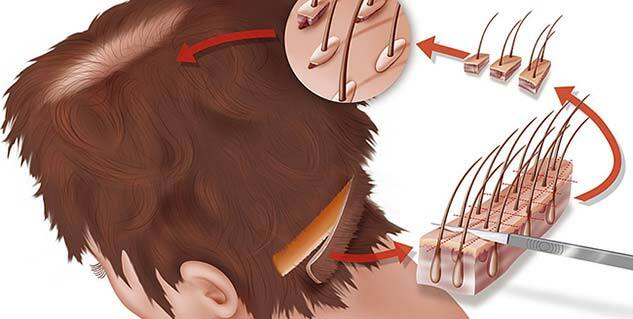 During FUT procedure, the strip is removed from the donor area and the nearby hair is left long, on the contrary, during the FUE procedure a large portion of the donor region is often shaved down for proper graft extraction and is remain exposed for many days , thereby affecting the surgery aesthetics. FUT assembled with trichophytic closure technique has further enhanced the aesthetic quality of FUT by effectively covering the donor scars, if any. Tricho involves overlapping the edges of the wound when suturing or stapling them, which potentially camouflage the scar and making the donor area innate. Further, the hair follicle beneath this area grows quickly with time, thereby leaving no scars. In FUE, since entire donor area has to be shaved this camouflaging is not possible and the patient has to wait for natural hair growth.